Remember the hideous tattoo which we discussed here a few days back? Yes, Iâm talking about the smiling face tattoo which was quite terrible to look at. I thought that was the ugliest girl tattoo I would ever come across but I think I was wrong. Glimpse the tattoo above. A father got his daughterâs face inked on his arm. 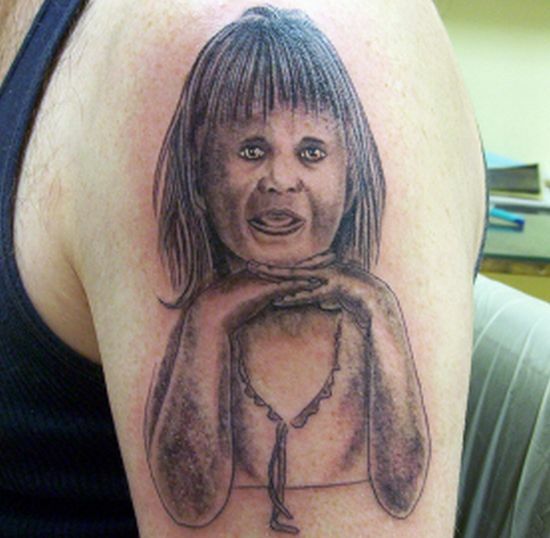 Is his daughter so ugly to look at or is it the tattoo artistâs goof up? Canât say anything with surety but one thing I would say for sure, that this is one of the worst portrait I have ever seen. ← Physics mania is in the air!